For the visual representation of the PDF signature, there are some parameters to shape the appearance of the signature. On which page or on which part of the page should the signature be attached? Here you can select from predefined positions / sizes or you can specify an exact position and size of the box (in mm). Should an image be deposited under the signature text? Should the status of the signature be displayed? 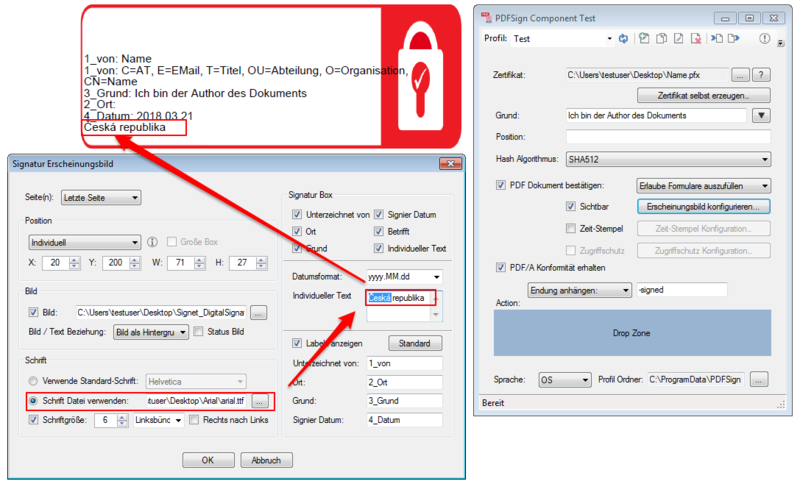 This status is evaluated when opening in Adobe Reader and displayed in the signature field as text information and depending on the certificate used, as green check mark or red cross. Which font / size should be used for the textual representation? Which textual information should be displayed in the box? 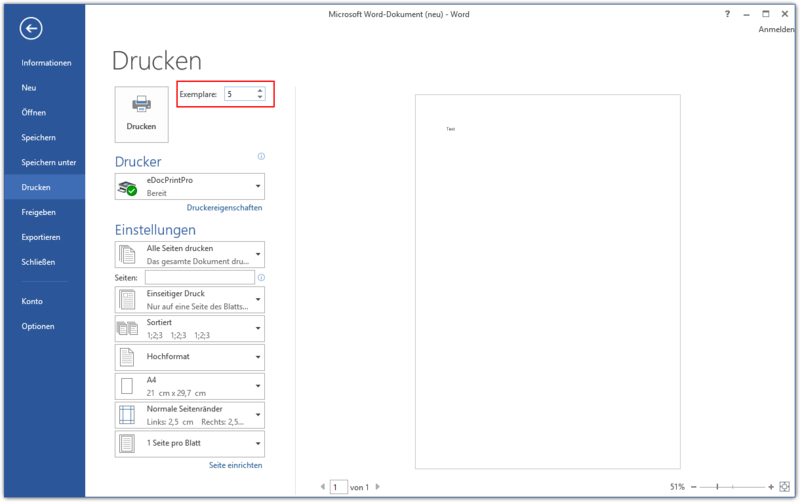 The signature box (“Individual” with “W/H” in mm) determines the size of the PDF signature field. If a graphic is placed under the text, it must already be in the correct size. Otherwise an automatic size scaling occurs which causes a distortion (compression / elongation) of the graphic. If the text string of a line is too long, it is automatically broken and the subsequent lines are moved down. If the box is defined too small then it may be that lines are broken and not all lines are displayed visibly. In the upper area of the signature box 2 lines are always kept free. These can not be used for the signature text. The text can not be displayed “centered” or “top” in the box. These two lines are reserved for a signature status, which can be inserted into the display by Adobe-Reader. When signing PDF/A documents, please note that if an image is to be placed behind the signature text, only documents with PDF/A Level 3b are supported. Only the PDF/A Level 3b allows transparent objects. However, such a file is created as soon as an image is placed under the signature text. If this happens with a PDF/A Level 1b, it looses 1b conformity. If special characters in the signature text are not displayed or not displayed correctly, it is because of the selected font. Then it is necessary to select a suitable TrueType font (e.g. Areal.ttf). TTF fonts can be found on every Windows computer. 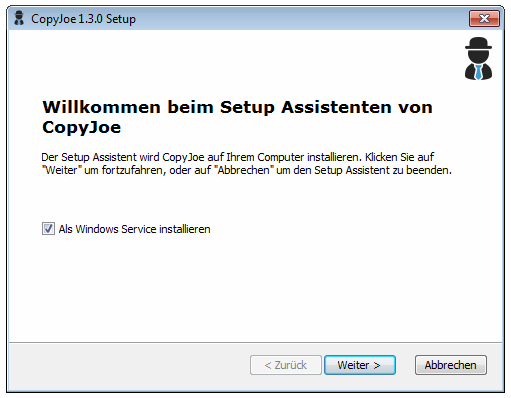 CopyJoe is a free Tool, which meets all requirements of monitoring one or more folders, to move or copy their content into a target folder. This can be done instantly, time-delayed, at a set time or in regularly recurring intervals. Possible to install as Windows Service or bootable application. 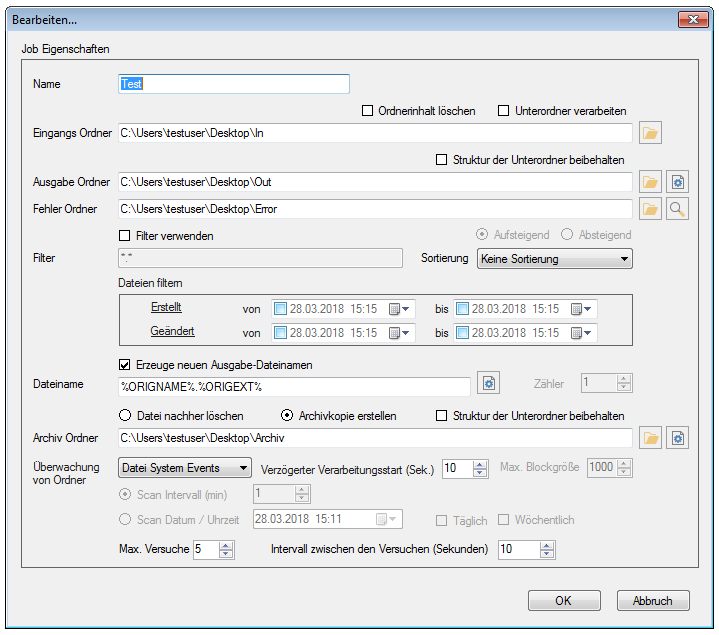 Multiple jobs for monitoring of folders can be created, activated or deactivated. Jobs can be processed in parallel. Each action can be logged in the log. 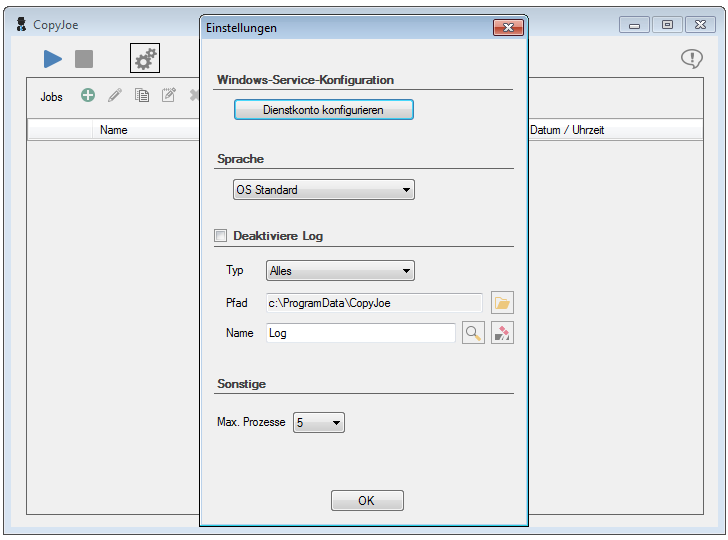 Folder content can be deleted after processing and the folder structure can be preserved. 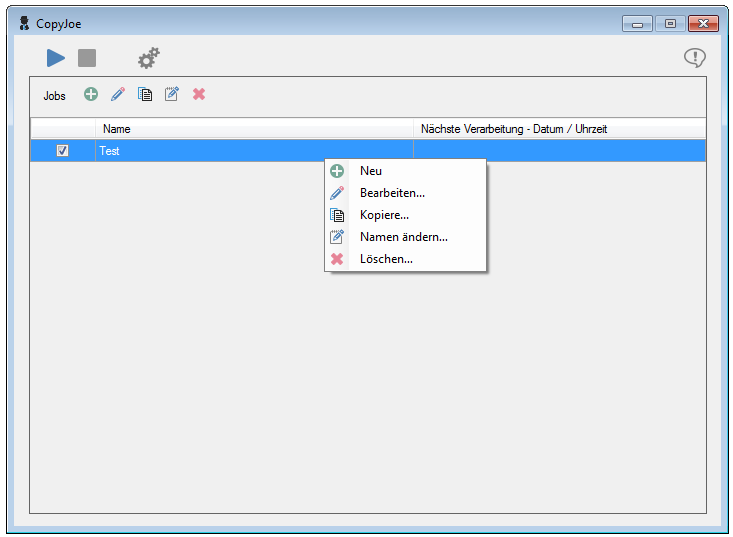 The folder structure of the inbox folder can also be copied to the destination folder. File processing via filter – name, extension, created by/until, modified from/to. Sorted processing by name/date and ascending/descending possible. Creating of a new file name via variable (date, time, counter, origin name/extension). Delete the original file (move), copy or create an archive copy. Folder monitoring and processing start via file system events, immediately, or with an adjustable delay (0-999 seconds), or via time interval (in minutes). Start processing at a set time/date with optional daily/weekly repetition. Adjustable number of retry attempts/time interval if a file should be blocked. Read out and pass on the number of copies – With version 3.26.2 it is now possible to pass the number of print copies entered via an application as a variable for the file name, as well as at the command line call. 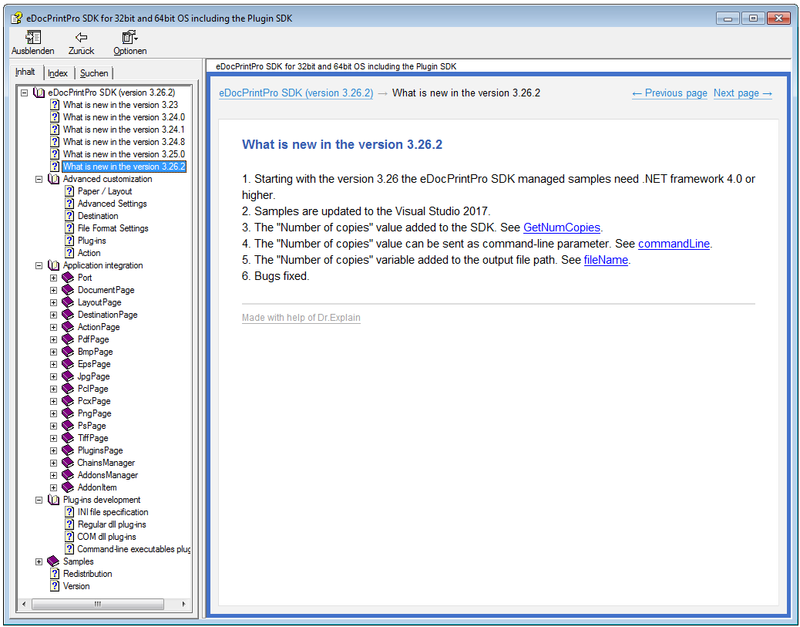 Likewise, there is now the possibility to query this information via the eDocPrintPro SDK. A subsequent printing application eg. AutoPrint, iPaper or PDF2Printer can evaluate this information and print the PDF in the desired number of copies on a physical printer. Since the evaluation of the entered number of copies slows down the processing speed and is not required for every application, this option is disabled by default. DWORD Wert “NumCopies” = 1 zum Aktivieren oder 0 zum Deaktivieren. 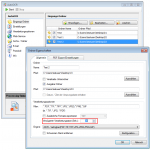 With version 5.6.10 there is now an additional alternative to control MS-Outlook. Should there ever be problems with the e-mail dispatch with a new MS-Outlook version or after an MS-Windows / MS-Office update, this “Alternative Outlook API” can be tested and used. 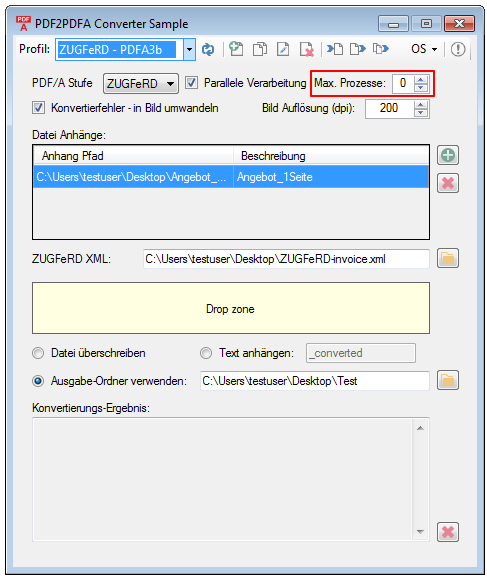 An option was implemented in version 1.16.1, which made it possible to start the processing per monitored folder with a delay. 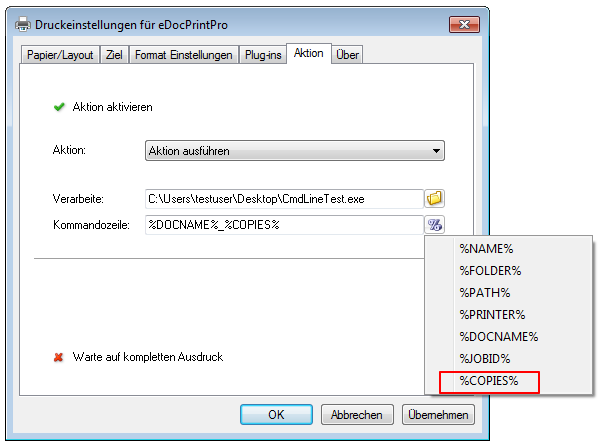 This option is needed especially for multifunction devices which scan or copy a PDF or an image file directly into an AutoOCR monitored folder. Certain multifunction devices create a file with 0-Byte, right at the start of a scan process, and either ‘fill’ it step by step with data or collect the scans locally on the device, to copy the finished complete file into the destination directory in the end. This process can take, depending on data volume, number of pages or speed of the data connection, between a few seconds and up to ten or more minutes. So far, if the start delay is not activated (parameter = 0), AutoOCR starts the processing right away, when a file is created. If the file is not completely created or it is not ready for the processing, it will, within short intervals and with every access or process trial by AutoOCR, result in an error message in the log or in an error email. It can also lead to internal crashes of the OCR processing, which in turn triggers error messages, processing repeats and moves the input file to the error folder. With this parameter it is possible to configure per folder, by how many seconds (0 to 999) the start of the processing should be delayed. A value has to be found, which complies with the requirements. 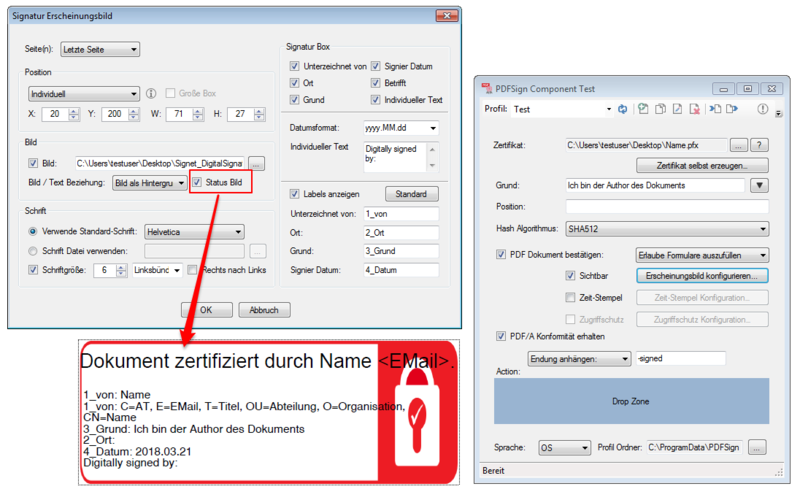 For PDF/A-3b as well as for ZUGFeRD documents it is possible to embed additional file attachments directly into the PDF and therefore using the PDF file like a file container for exchange or archiving of the attachments. PDF2PDFA can , starting with version 1.0.3, also process ZIP files. This opens up additional possibilities. In a ZIP file multiple PDF files can be passed on for conversion to PDF/A-1,2,3b as well as ZUGFeRD. 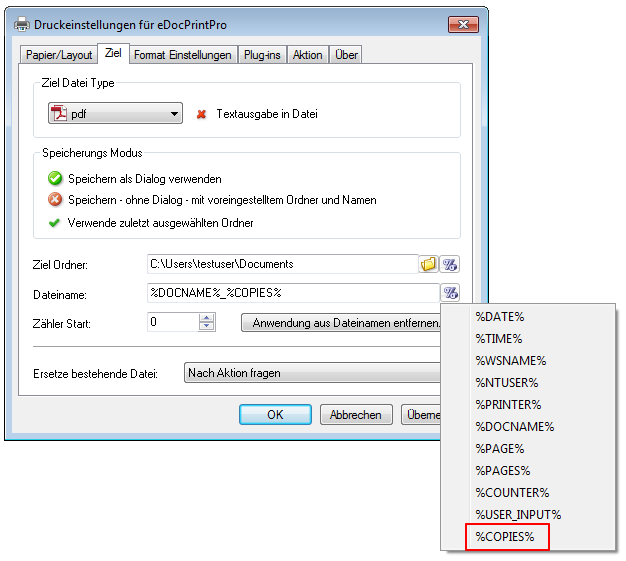 The folder structure, contained in the ZIP, can also be used for the output. 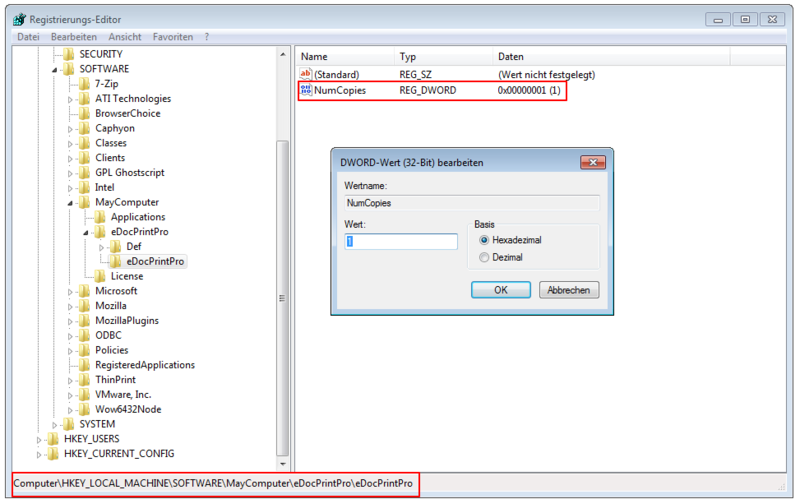 Thereby the same folder structure, present in the ZIP, is created in the output folder. The ZIP file can contain attachments, which will be embedded in PDF/A-3b or ZUGFeRD. To make this possible, there has to be a subfolder on the same folder level, where the PDF file is located, with the same name as the PDF, including a ‘$’ in front and behind the name. For example: For a file ‘Test.pdf’, a subfolder with the name ‘$Test$’ needs to exist. If such a folder exists all contained files will be added as attachments to the output file. If a ZUGFeRD XML file, with the name ‘ZUGFeRD-invoice.xml’, is located in a $…$ folder, a ZUGFeRD compliant PDF can be created with this file. 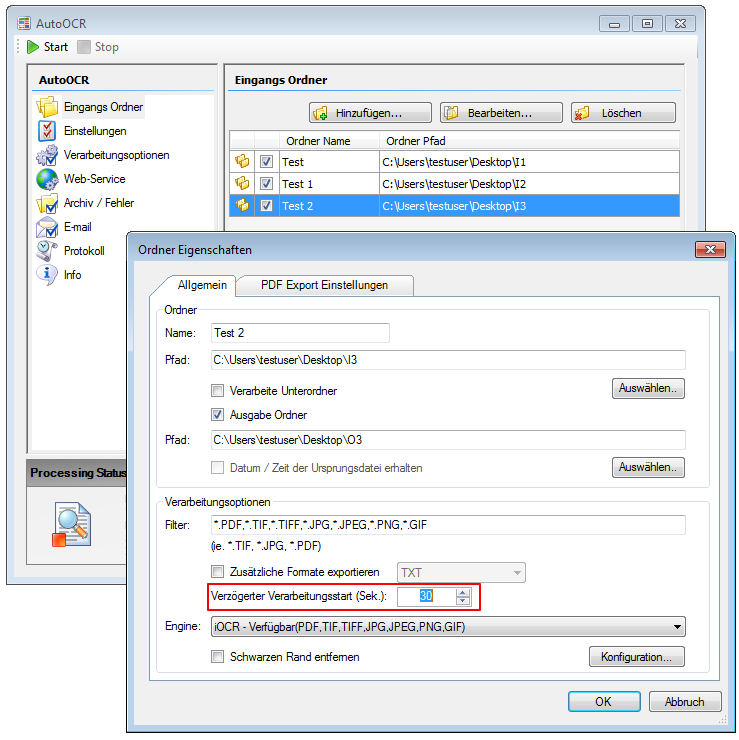 In case only a single PDF is located in the folder, it is not necessary to create a $…$ subfolder – in this case it is sufficient to put the ‘ZUGFeRD-invoice.xml’ at the same folder level. The creation of a $…$ subfolder is only necessary if there were multiple PDFs on the same level or if there were additional attachments besides the XML to be transferred. Another innovation is the option to set the max. number of parallel conversion processes. This makes it possible to limit the use of ressources. Value = 0 means all available ressources are fully used. If the value corresponds to the number of available CPU Hyperthreads, the best performance is reached. If the parameter is set too high, ressources will be lost due to the required rotation of the threads.